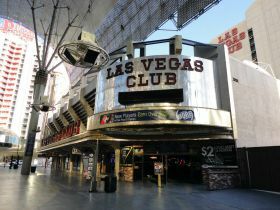 D OWNERS ARE BUYING THE LAS VEGAS CLUB DOWNTOWN: The owners of the D downtown bought the 86-year-old sports-themed Las Vegas Club on Fremont Street but not the name from the current owners who own the Plaza. Brothers Derek and Greg Stevens already closed the 400-hotel-room property for renovations and changes. The Stevens also own 60 percent of the Golden Gate located across Fremont Street from the Las Vegas Club.The D owners acquired Fitzgeralds in October 2011, invested $22 million and in a year converted it to the D Las Vegas. In 2013, they spent $10 million for the former Clark County Courthouse and converted the 2.76-acre site into an outdoor concert venue. MANDALAY BAY OPENS CONVENTION CENTER’S EXPANSION: Mandalay Bay opened the 350,000-square-foot, $70 million expansion of its Convention Center and welcomed its first group, MAGIC, the world’s largest fashion marketplace, into the new space. The resort built new exhibit space, a 20,000-square-foot foyer and underground parking in this first phase. Construction began last October and when it is completed in January 2016, the Mandalay Bay Convention Center will boast more than two million total square feet and over 900,000 square feet of contiguous exhibit space. This new space elevates the resort’s ranking in North America to No. 5 in both total square feet and exhibit space. GUITARIST ROWAN ROBERTSON JOINS ‘RAIDING THE ROCK VAULT’: Last week, former Dio guitarist Rowan Robertson joined “Raiding the Rock Vault” at the New Tropicana performing alongside lead guitarist Howard Leese. 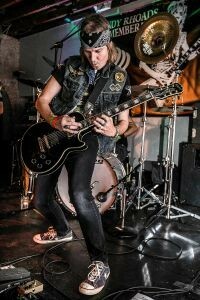 Since 2014, he has performed with hard rock band Bang Tango.Robertson joined the quintessential classic heavy metal band Dio when he was only 17 years old and was propelled to overnight stardom. 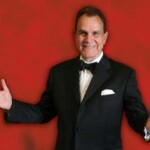 RICH LITTLE’S SHOW EXTENDED AT THE LAUGH FACTORY: Legendary comedian and impersonator Rich Little, who has been headlining in his autobiographical show “Rich Little Live” at the Laugh Factory inside The New Tropicana, has been extended another 12 weeks. His well-packaged show features a delightful compilation of impersonations, drawings he did and interactive video highlighting the actors, musicians, politicians and personalities he has worked with throughout his more than 50 illustrious years in entertainment. 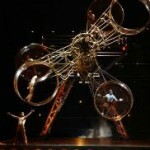 CIRQUE DU SOLEIL STARTS FREE KÀ OPEN HOUSE: Cirque du Soleil is now offering an insider view of its “KÀ” show at the MGM Grand inside the theatre every Tuesday at 11 a.m. and 11:30 a.m. The KÀ Theatre Spectacular is a free open house that highlights the impressive work, inspiration and unprecedented technology used in this $165 million production. For information, call the box office at 702-891-7940. ‘SO YOU THINK YOU CAN DANCE’ TOUR WILL VISIT THE PALMS: “So You Think You Can Dance,” the 13-time Primetime Emmy® Award-winning show, will go on tour again this fall and stop at The Pearl inside the Palms on Dec. 11. The competition’s top 10 finalists in the new Stage vs. Street format will make their way across North America performing in 70 cities. Tickets for the 8 p.m. performance start at $33. THE CUPCAKERY OPENS THIRD LAS VEGAS LOCATION: The Cupcakery, a premier cupcake-centric bakery, opened its third Las Vegas location at 1150 E. Flamingo Road. The new 1,200-square-foot boutique bakery features café seating, free Wi-Fi, an expanded retail section and of course cupcakes. Local artist LeslieAnn Farrell designed the décor and her whimsical and colorful creations adorn the walls and counter. Owner Pamela Jenkins opened the first Cupcakery nine years ago. Now she’s using organic cage-free eggs and small batch organic vanilla, and working on a specialty coffee program set to launch in early 2016. VIA BRASIL STEAKHOUSE HOSTS BRAZILIAN OUTDOOR FESTIVAL: The 2015 Brazilian Outdoor Festival is returning to Via Brasil Steakhouse at the Ft. Apache Commons Shopping Center in Summerlin on Sunday, Sept. 20 from 4 to 10 p.m. 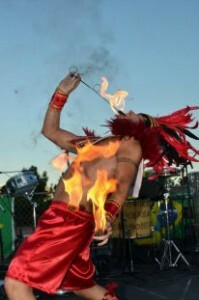 This event focuses on the South American culture with traditional Brazilian food and drinks, live music, samba dancers, stilt walkers, Capoeira performances performances – an art that mixes martial arts and dance – plus fire dancers and fire breathers highlighting the entertainment lineup.This year the event ticket sales will benefit Opportunity Village. Advance general admission tickets are on sale now through Sunday Sept. 13 at Via Brasil Steakhouse for $10 and after that $12. 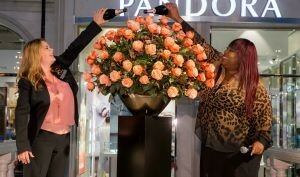 COMEDIAN LONI LOVE UNVEILS NEW VENETIAN SIGNATURE ROSE: The Venetian® held a ceremony with actress and comedian Loni Love helping to unveil a new variety of rose, The Venetian Rose, named after the Las Vegas resort. The new breed with warm coco peach undertones and champagne hues was chosen to complement The Palazzo Rose, which was introduced in a similar ceremony in December 2012. The rose was grown and bred in Ecuador, the world’s third largest exporter of cut flowers. It takes around five years to develop a new variety of rose and in the floral and horticulture industry, this is quite an honor.The Venetian Rose, which can be purchased through the floral department, will be available exclusively at The Venetian for the first year. THE CENTER WILL HOST ‘PICNIC BY DESIGN’ AT SYMPHONY PARK: In partnership with Design Industries Foundation Fighting AIDS (DIFFA), The Gay and Lesbian Community Center of Southern Nevada (The Center) will host the fundraising Picnic by Design at Symphony Park on Saturday, Sept. 12 from 6 to10 p.m. Local designers will create over-the-top picnic baskets and tables for purchase to be enjoyed with delicious food and fine wine in the shadow of The Smith Center. The Las Vegas Men’s Chorus, Laura Taylor Mulkey and others will provide live entertainment. Designer picnic baskets serving two are $300 each, and designer picnic tables for eight are $1,500 each. Dinner will be served from 6 to 8 p.m. Tickets are also available to attend just the cocktails and dessert portion of the evening from 8 to 10 p.m. for $75. ‘STYLE WITH A CAUSE’ WILL BE HELD AT FASHION SHOW MALL: The third annual Style With A Cause event inspiring women through fashion and beauty will flourish on the runway at the Great Hall inside Fashion Show mall on Thursday, Sept. 17 from 5:30-8:30 p.m. Local media personalities will lead guests through a night filled with cocktails, nibbles from Maggiano’s, a fall fashion show presented by Saks Fifth Avenue, a real life beauty transformation, and a recognition of unsung heroes from the Las Vegas community. In addition, the first-ever Style With A Cause collection will be unveiled. Tickets are $100, call 702-569-1008. This year, the event will benefit Opportunity Village. ‘GREAT SANTA RUN’ OFFERS EARLY REGISTRATION SPECIAL: The 11th Annual Las Vegas Great Santa Run benefiting Opportunity Village on Saturday, Dec. 5 has an early bird registration special for any Saint Nicks through Aug. 29. The discounted price is $30 for individuals and $20 for children under 12-years-old. Registration includes a five-piece Santa suit, a runner goody bag and a commemorative medal from event sponsors. Also, participants are encouraged to bring their canine companions for $10 and they get a doggie bag of treats. Registration is available on the Great Santa Run website. 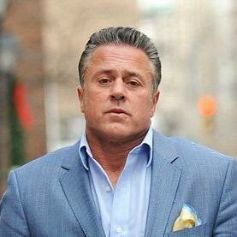 MOB MUSEUM HOLDS AUTHOR TALK AND COURTROOM CONVERSATION: On Thursday, Sept. 10, John Alite will present an Author Talk at the Mob Museum downtown at 7 p.m. Alite collaborated with George Anastasia to publish the book “Gotti’s Rules: The Story of John Alite, Junior Gotti and the Demise of the American Mafia.” This Author Talk is free with museum admission and free for Museum Members. On Wednesday, Sept. 23, at 7 p.m., the Mob Museum will present its next Courtroom Conversation: “Fighting Organized Crime in the 21st Century.” The event is made possible by a grant from Nevada Humanities. The museum has assembled a panel of national and regional experts on organized crime including: Virginia Commonwealth University Professor and Criminologist Jay S. Albanese; Assistant Special Agent in Charge Patrick G. Brodsky of the FBI’s Las Vegas Division’s Criminal Branch, Support Services Branch and SWAT; and Thomas P. Ott from the U.S. Treasury Department’s Financial Crimes Enforcement Network.Tickets are $25; museum members receive a 10 percent discount, call 702-229-2734 for information. PANEVINO INTRODUCES 55 NEW DISHES AND NAME: Upscale Panevino opened by Tony Marnell in 2002 is now Panevino Italian Grille and revealing an expanded menu with 55 new dishes, many that are inspired by the family’s cookbook. Selections include grilled meats and seafood, Italian favorites, homemade pastas, appetizers, salads and desserts, now available for lunch and dinner. Panevino’s plant-based menu has also been enhanced with a variety of new vegan options. NEWSY NOTES: Travel website Vegas.com has developed a new free Las Vegas mobile app that is available on iOS and Android devices. 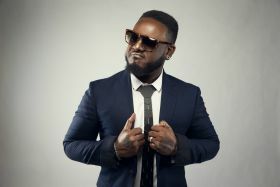 Chateau Nightclub & Rooftop at Paris will host a hip-hop filled Labor Day Weekend bash with performances by T-Pain on Friday, Sept. 4 and DJ Drama on Saturday, Sept. 5. 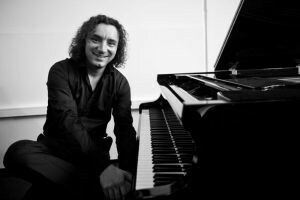 The Artisan Craft Festival, a premier fine art, jewelry, crafts show, will be held at the Suncoast in the Grand Ballroom on Sunday, Aug. 30 from 10 a.m.-5 p.m. Romanian composer, producer and musician Bogdan Ota will do a free performance at this event that has complimentary admission. Downtown’s cocktail bar Commonwealth is teaming up with Orange County-based DJ crew, SHIFT, currently on their six-year anniversary tour to host a rooftop evening of music and culture on Thursday, Aug. 27. Downtown Summerlin® is looking for 48 dancers, drummers and performers for costumed characters to perform during the holiday season at Downtown Summerlin’s Holiday Parade starting in mid-November. Another 16 technicians and float pullers are needed. Greg Thompson Productions will hold auditions on Saturday, Sept. 19 by appointment only; contact dtsholidayparade@yahoo.com. “Wines Du Jour,” the nationally syndicated wine radio show with host Chef Les Kincaid featuring a weekly winery and three of its wines and an invited guest audience of around 35+ guests at an upscale restaurant location normally in Las Vegas, is celebrating its 14th year on Thursday evening Sept. 3 from 7-8 p.m. The special anniversary broadcast will be held at Bonefish Grill in Summerlin. Itsy Bitsy: Ramen and Whisky downtown at The Ogden launched a weekly Instagram contest to win passes to this year’s Life is Beautiful festival, Sept. 25-27. 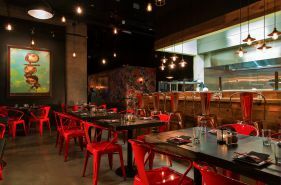 Itsy Bitsy has also introduced “Whisky Spout,” a designated weekly industry night for Las Vegas’ nightlife and entertainment industry professionals every Tuesday from 8 to 11 p.m. that includes 50 percent off menu items and an open bar from 8-9 p.m. 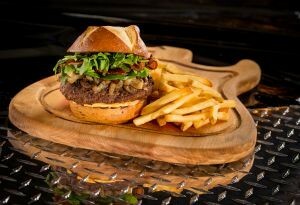 DINING HIGHLIGHTS: Two of the Hard Rock’s dining destinations, Mr. Lucky’s Café and The Ainsworth, have launched a new Seasonal Burger Tour menu featuring four solutions available now through Fall 2015; Shaka Doobie; Sloppy South; Cali Burger; and Fancy Pants. Cost is $15 and $16 with a variety of toppings such as fried bologna, avocado, caramelized onions, etc. Lago by Julian Serrano at Bellagio that debuted in April with an Italian small plates concept has introduced new lake-side lunch and brunch experiences. Lago’s brunch will replace Jasmine’s Fountains Brunch that is scheduled to end Sunday, Aug. 30. Celebrity “Rock ‘n’ Roll Chef” Kerry Simon’s downtown restaurant, Carson Kitchen, has introduced an array of new menu selections. Simon and business partner, Cory Harwell, developed the new recipes to reflect the unique twists and ingredient-driven dishes that have made the eatery a hit. The menu includes an array of new entrées, shared plates and desserts in addition to remaining favorites. An example is bone marrow bruschetta is replaced by beech mushrooms and taro chips for $10. FOOTBALL PROMOTIONS: For a third season at The Palazzo®, Lagasse’s Stadium® Chef de Cuisine Scott Pajak has created special football menus that pay tribute to the team’s playing each week on Monday and Thursday night televised games. Table 89 located at 7160 North Durango Dr. in Centennial Hills is offering a catering touchdown takeout menu fit for all football tailgate fans including sandwiches, pizzas, salads and more, call 702-365-7777. Tacos & Tequila (T&T) at the Luxor will celebrate football season with a tasty tailgate menu available for Thursday, Sunday and Monday games beginning Thursday, Sept. 10. T&T’s football fare includes the Gridiron Platter and drink specials. PUBLIC VOTING IS OPEN FOR AFAN’S ‘FASHION ICON’ AWARD: After weeks of nominations, Aid for AIDS of Nevada (AFAN) has five finalists for its “Fashion Icon” award who will be featured in a “Vegas Seven” magazine fashion spread with statements on why they should win the “Fashion Icon” title. The winner will be announced at the Black & White Party on Saturday, Aug. 29 at The Joint at Hard Rock. Now through Aug. 29, the public can vote for their best-dressed choice everyday at gay.vegas/afanfashionicon. Votes may also be submitted the night of Black & White Party through dollar donations. The finalist with the most overall votes will win a $500 Macy’s gift card and each runner up will receive a $100 Macy’s gift card.The finalists are: Melody Sweets, star of Caesars Palace’s “Absinthe;” Tya Mathis, director of diversity for Clark County School District; Selena D’Angelo, winner of Miss Las Vegas Pride 2013; Bryan Chan, former Chippendale and local emcee; and actor model Frank Hoopes. 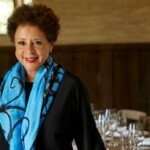 CHICO’S STANDS UP TO CANCER WITH ARTIST’S SCARF: Women’s retailer Chico’s has launched a limited-edition scarf designed by artist and entrepreneur Sheila Johnson to support Stand Up To Cancer® (SU2C), a program of the Entertainment Industry Foundation (EIF). During this campaign, Chico’s is selling the scarf in its boutiques and online and donating $10 to Stand Up To Cancer (up to $100,000) for every scarf purchased through Oct. 31. Chico’s currently operates 617 boutiques and 122 outlets throughout the United States. CHILDREN’S HEART FOUNDATION HOLDS INAUGURAL RUN: The inaugural “Show Your Heart Run” to benefit the Children’s Heart Foundation will be held on Saturday, Sept. 19 at Kellogg Zaher Park, 7901 W. Washington Ave. Participants can choose a 5K race at 6:30 a.m. or a 1.7 mile fun walk that follows. 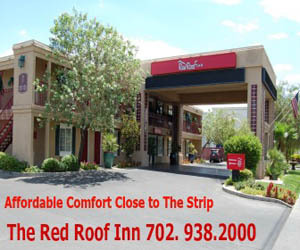 Cost is $40 for runners through Aug. 31 and $45 after that, and $10 for walkers; call 702-967-3522. ‘MY FAB 40TH’ REALITY STARS HOST VIEWING PARTY FUNDRAISER: Best friends and long-time supporters of the Children’s Heart Foundation, Francine Sanchez and Julie Marcus Downs will make their debut on Bravo’s “My Fab 40th” on Tuesday, Aug. 25. The reality duo will host a fundraising viewing party to celebrate at Dal Toro on the lower level of The Palazzo ®. Friends, family and fans are invited for festivities beginning at 9 p.m., followed by the premiere of the first episode at 10 p.m. Donations collected will benefit the Children’s Heart Foundation.